Meetings take place on Tuesdays at 4 p.m. and Thursdays at 10 a.m. The only requirement for attending is an individual's desire to remain sober. Call for meeting dates, times, and locations. 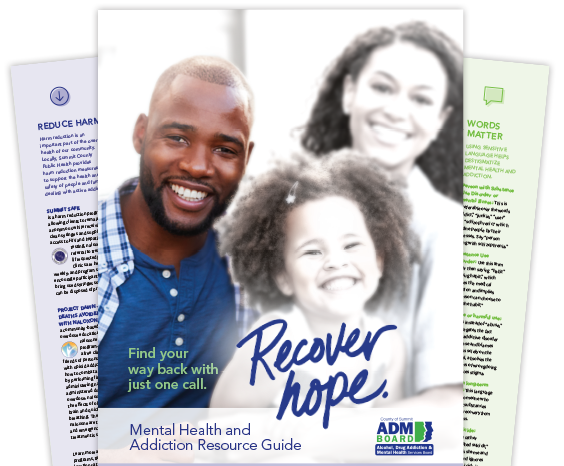 AA/Big Book-based program of recovery. NA is a 12-step recovery group for those addicted to drugs, not limited to use of any particular drug. There are numerous meeting locations, dates, and times throughout Summit County. LifeRing Secular Recovery is a self-help recovery network for individuals who seek group support to achieve abstinence from alcohol and other addictive drugs. Every Wednesday from 4 p.m. to 6 p.m. Summit County Public Health offers the Safe Summit Needle Exchange, which provides an anonymous, free, safe needle exchange for Summit County residents with substance use issues. The program accepts used needles that are secured and safely transported in exchange for new needles. Participants are limited to 30 needles per week. 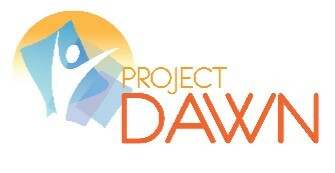 Project D.A.W.N. (Deaths Avoided With Naloxone) is a community-based overdose education and naloxone distribution program. Naloxone is a medication that can reverse an overdose caused by an opioid drug (heroin or prescription pain medications). When administered during an overdose, Naloxone blocks the effects of opioids on the brain and quickly restores breathing. The effects of Naloxone are temporary and emergency medical treatment is still required. Clinic hours: Tuesdays (every hour) from 3 p.m. to 6 p.m. The Family Matters Education Program is designed to educate, support, and promote healing through specific forums designed with the family member in mind, along with integrated skill building and communication exercises. Meetings are held at Oriana House's St. Hedwig facility, 213 E. Glenwood Ave., Akron Wednesdays 6 p.m. to 8 p.m.
Community members interested in learning more about addiction are welcome to attend the Wednesday meetings. Your loved one does not have to be in an Oriana House program to attend the Wednesday meetings. After losing his son to a heroin overdose, Greg McNeil launched Cover2 Resources in March 2016 to spread awareness, educate, and advocate for those affected by the opioid epidemic through an ongoing podcast series. Topics include harm-reduction strategies, how to select a treatment provider, and what families need to know to best support their loved ones struggling with opioid addiction. Meetings are held 1st & 3rd Saturday of each month 9:30 a.m.-11:00 a.m. at the Hudson Christ Community Chapel. Families Facing Addiction is a support group for those who have loved ones experiencing addictions. Sessions at 9 a.m., 10 a.m. and 11 a.m.